Daughter sits for scholarship exam ... after worshipping dead body of father who died from attack by elephant! 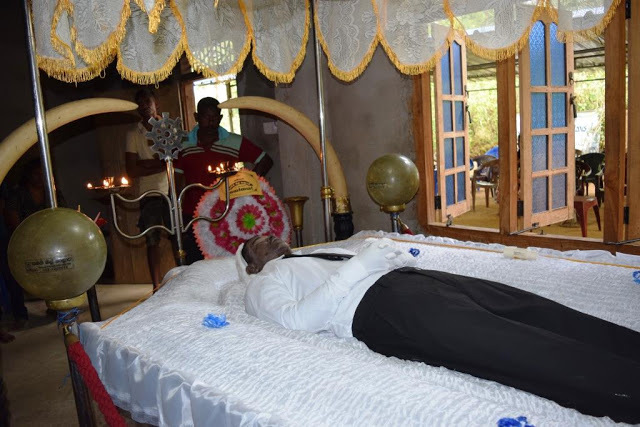 after worshipping dead body of father who died from attack by elephant! 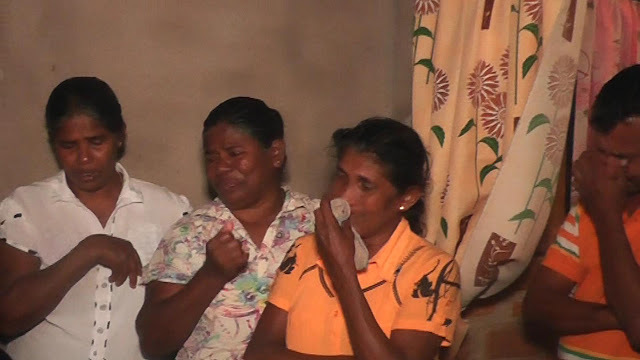 A heartbreaking incident is reported from Pannalgama hamlet in Amparai area of a girl who worshipped at the feet of her dead father lying in a coffin in the house having been battered by a wild elephant after which she had proceeded to sit for her scholarship examination. going to his paddy field and was on his push cycle when he was subjected to this wild elephant attack. It was said that he was having high hopes that his youngest daughter would get through the scholarship exam. Pannalagama villagers say that the scene of Vihangi Akarsha dressed in her white uniform had bowed down touching the feet of her mother to go for the scholarship exam and then moving towards her father uttering the gatha of worship to her father was indeed was a highly sensitive moment. The principal of the school where the girl was studying had come to her house and after consoling her had been kind enough to accompany her to the exam hall in Mahanagapura Vidyalaya where she had to sit for her exam.